The news follows Openreach’s (BT) recent “Fibre First” project announcement, which pledged to invest around £8 million in order to roll-out a new Gigabit-capable “full fibre” (FTTP) network to cover all 22,000+ premises in Salisbury (Wiltshire) within just 12 months’ time (here). Giganet thus anticipate that their existing presence in Openreach’s Salisbury Exchange, where the new full-fibre FTTP network terminates, may give them some advantages over competitors. “Unlike almost all other local providers, our equipment is in the Salisbury exchange, which provides us a genuine competitive advantage in delivering next generation Gigabit services to local businesses. This means we have direct access to the network, reducing the supply chain and improving the communication, lead time, pricing and capabilities when selecting an Internet provider. We offer 6-hour SLAs and our friendly, award-winning customer service team are not far away. Giganet’s office is based just 30 miles away in Whiteley, Hampshire. Salisbury is part of Giganet’s local network including Basingstoke and Winchester which has private direct routes to the internet. In fairness the claim may be true for some business connections, although Giganet’s Openreach based FTTP package prices for residential users are a different matter and don’t seem to be as competitive as some of their rivals (BT, iDNET, Zen Internet etc.). 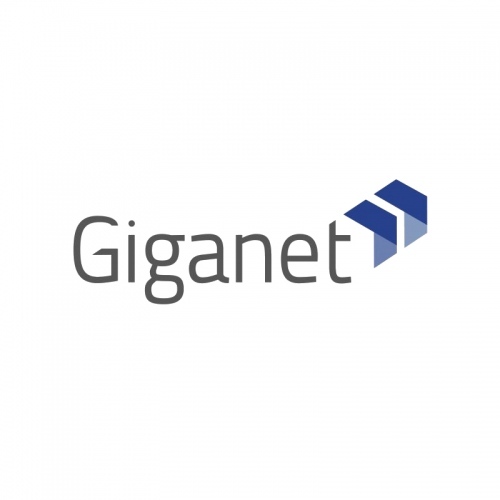 Home FTTP packages from Giganet start at £72 inc. VAT per month for an average speed of 145Mbps and there’s also a £145 one-off setup charge (12 month contract). Giganet has informed us that they’re due to refresh their national residential pricing soon and will also have some more competitive prices specifically for homes in Salisbury, although these are currently TBC. Has the Wiltshire/Hampshire border been redrawn recently? Giganet don’t currently offer FTTP services to residential users, despite their website stating otherwise. At least that’s what their sales told me when I asked them, they said they supply to businesses only but it might change in the future. Giganet’s focus to this point has been businesses, however we WILL definitely be offering home broadband FTTP services in all of our Giganet Local areas (Winchester, Basingstoke and Salisbury) exchanges which we have unbundled and have our own equipment and backhaul in. Our Salisbury FTTP products are branded “Local UltraBEAM”. Salisbury has expedited our residential plans given the fantastic news for the city. It’s really exciting to be part of this. We feel that homes and businesses deserve choice of a local, non-mass market ISP who has uniquely unbundled the exchange, and can offer more insight into the rollout plans, great value packages, not read off scripts, and really cares about the area and the impacts this has. Sounds cheesy, but we’re locals; I grew up 20mi away in North Dorset, our MD still lives there, our office is 30mi away, we have many existing local business in the city and surrounding area. We’re very used to providing residential services, as we were one half of the founding members of Wessex Internet that was 90% residential. We sold our stake in this last last year. So in conclusion, our Salisbury FTTP pricing is TBC at the moment, but we will definitely be competitive. Check back regularly https://www.giga.net.uk/salisbury for more details/pricing. Thanks for the info. Unfortunately I don’t live anywhere near Salisbury, I am in North Scotland where Openreach FTTP services usually run on the BT Wholesale network. I am able to get Openreach FTTP. Do you have any plans to provide Openreach FTTP through BT Wholesale tails for residential users anytime soon? We can provide anything from ADSL2/FTTC/G.Fast/FTTP from 3 carriers, and leased lines via 12 carriers across the UK, all directly into our resilient core ISP network. Our residential focus has not been there since we launched our Giganet brand last year. However we are working on the consumer side more rapidly now given Salisbury’s announcement and the fact we’re in that exchange. Too good an opportunity to miss! This will actually then help feed back into our productisation, strategy and pricing review for our UK national home broadband services. Part of our USP to the UK public is that we’re coming from B2B to add B2C. So the support you are likely to be receiving with us will be a bit different to some of the other providers who just focus on residential. Like I said above too, we’re well used to serving home broadband customers during our time running Wessex Internet’s core network, sales, customer service, accounts & tech support teams. This was 90% consumer. What are the practical advantages of buying a cablelink at the exchange and then getting back to the ISP network from that point via someone else’s network or dark fibre(?) vs. using another wholesale provider to get the customer back into your network? Great question Jonny, as what we have done is not for the fainthearted! It all comes down to us buying the circuits and services are the lowest level we can. Cutting out middlemen. Improving communication. Being more innovative. Being expert and not just someone ‘box shifting’. We have quite a bit more control and understanding of the how the network is all running end to end – from the customer’s FTTP OLT right to the edge where we handoff to the Tier 1 transit providers or peering. For instance with wholesale providers, we have some idea (due to monitoring lines for packet loss/latency), but little control over what they do with their contention/backhaul routing/resilience from our handoffs in our London core to an exchange in Wiltshire say. With wholesale, we have to buy what they sell us, so if they are re-packaging Openreach’s service in a particular manner, we get what we’re given. If Openreach release a new product or service tomorrow, then the wholesalers can take months to develop/productise this for our consumption. We are also able to consume all of the FTTP services, for example the 500Mb and 1Gb FTTP versions. A lot of the wholesale providers are shying away from this as their networks/backhaul isn’t ready. So for wholesalers, we can’t get access to these higher bandwidth services that we can in the exchanges we’ve unbundled. The FTTC/P services we buy are layer 2 circuits. So if someone had two sites in Salisbury for example and they wanted a point to point link, and they can get an FTTC/P service at both ends, we can switch the two FTTC/P VLANs together in the exchange to create a point to point link! No routing to London. No IPSec VPNs. Just a long-line network cable essentially! Before the announcement of the wide scale FTTP rollout, we actually developed our own ‘hybrid-leased line’/FTTP service that is widely available in the areas we’ve unbundled today! We were able to do this by using EAD 1Gb circuits (typically used for leased lines) but then routing customer traffic into our broadband network context rather than our dedicated leased line context. In reality, our network is dimensioned so we’re never the bottleneck though. We’re not aware of anyone else doing this. 500Mb from £249/month. Which when you consider a 500Mb leased line could be many £100s more. When you buy via wholesale channels, you can’t speak directly to Openreach. So for information about the products, rollout plans/progress, escalations, in-life care, etc, we have direct access to the people putting the fibre in the ground, running the exchange and managers who can help out. As we’re working directly with Openreach, we’re cutting out layers of wholesalers. This helps improve the accuracy, detail and timeliness of communication updates to customers. Not many people Giganet’s size unbundle exchanges. For instance, our rack is surrounding by TalkTalk, Sky and Vodafone. So you are getting something quite special by working with someone like us who has this low-level access to the network, who is local (in the case of our unbundled exchanges Salisbury, Winchester and Basingstoke), and who can offer that much more personal and expert approach to customers. Not sure the call centre operative with the big ISPs could compete here, but then again they have their own USPs. We are going after a different part of the market. That’s all well & good but unfortunately the vast majority of Openreach FTTP properties won’t be near your unbundled exchanges, unless you plan on unbundling every major exchange in the UK. Therefore for those of us on BT Wholesale tails, do you have any plans to offer FTTP services on a residential basis? Putting my details (well away from their base or Salisbury) gets me a range of (giganet national) residential ftth offers from 80->150->300. Touch pricey but I’m market A so others prices may vary. Frankly the more ppl offering fttp/h/b the better as its mostly limited to Bt/Zen and 2 others outside of the cities. Correct, the Giganet online checker does indeed bring up residential FTTP packages even for those not living anywhere near Salisbury. However despite this, Giganet will not let you place an order for a residential service as they only supply businesses at present – their business services cost more. Though as Matt says, this may change in the future. Hmmmmm! if that’s correct that’s ridiculous. By all means a small company can’t be expected to supply everywhere or to residential. But if you search the site as residential and get a “By utilising our national carriers, we’re able to offer you ultrafast Internet services at (myadddress)” package return that nowhere mentions biz only then thats really very poor indeed. Its should pop up a ‘we’re not in your area yet but please register an interest’ type box as many others do. With our best of intentions the time it’s taken to roll out residential orders has been longer than we had anticipated, so the website/wording has not been changed. We’re close!!!! Our pricing in Local areas will be different to non-local areas. Our instant checker will reveal what you can get. Local (or not). But few offer the 1k package. Yes, our claim of 1Gb/s anywhere is due to leased lines which, subject to ECCs and the applicable rental charges can deliver 1Gb/s. As our pitch evolves to be more of a mix between homes and business (as at the moment our focus has been on business), then this headline strap-line will undoubtably change! Re Joe’s comments about 1Gb FTTP and cablelinks. This is perhaps something you are confusing with BTW and wholesale network providers, as there is nothing to stop an Openreach customer from ordering 1Gb/s FTTP if they only had a 1Gb/s cablelink. Yes, if that one 1Gb/s customer maxed their line out, it would adversely affect all other customers routing over that cablelink. I am not aware of the ECI vs Huawei limitations. I have asked about this, but no reply yet. I suspect this is not the case. From looking at the FTTP premises cablelink mapping database, and cross referencing this with the mappings for FTTC DSLAMs, in Salisbury at least, all the FTTP headends/cablelinks terminate on Huawei ONTs. There is 1 ECI headend in Salisbury – but this only feeds FTTC cabs. Disclaimer: I’ve only checked one exchange area. I think the limit on who can order 500Mb or 1Gb FTTP seems to be due to backhaul capacity of the comms provider and/or whether they have 10Gb cablelinks in place. This is not an Openreach limitation. I believe all FTTP terminates on Huawei gear. That might indeed be technically true but for the reason you suggest what provider would allow them to max a cable out! So afaik you can’t order it. Wrt the cablelinks: Thats my understanding at least via OR. They don’t have an ECI with 10gb GEA cablelink headend. And many of the Huawei aren’t connected to a 10 so run at the same lower speed packages. If you know different I’m interested to hear so.